Intracranial aneurysms (IA) are weakened outpouchings of the arterial wall in the cerebrovasculature. Rupture of an IA often leads to devastating consequences. The early identification of IA patients is crucial for management of their condition. A genetic variant at rs10230207, located nearby the HDAC9, TWIST1, and FERD3L genes, is associated with IA. HDAC9 is a class IIa histone deacetylase that mediates vascular smooth muscle cell dysfunction. TWIST1 is a mechanosensitive transcription factor and its expression is reduced in unstable carotid atherosclerotic plaques. In this study, the expression of the HDAC9, TWIST1, and FERD3L genes was characterized and associated with the presence of the rs10230207 genetic variant. Allelic discrimination and gene expression analysis were performed using lymphoblasts from 85 population controls and 109 IA patients. 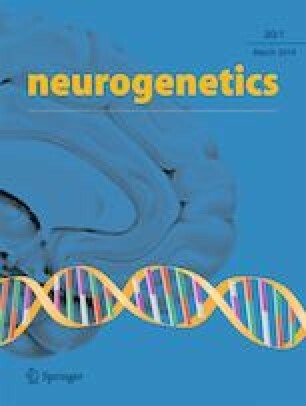 Subjects that were heterozygous (GT) within rs10230207 were 4.32 times more likely to have an IA than those that were homozygous for the reference allele (GG; 95%CI 1.23 to 14.16). Subjects that were homozygous (TT) were 8.27 times more likely to have an IA than those that were GG (95%CI 2.45 to 27.85). While the presence of the risk allele was not associated with changes in FERD3L gene expression, the risk allele was associated with increased HDAC9 and decrease in TWIST1 mRNA expression. The significant inverse correlation between HDAC9 and TWIST1 gene expression suggests that changes in the expression of both of genes may contribute to the formation of IAs. The online version of this article ( https://doi.org/10.1007/s10048-019-00569-2) contains supplementary material, which is available to authorized users. The authors would like to acknowledge Lauren Peruski for her work in generating subject information tables from the Coriell catalog.